Inle Lake is another famous tourist destination in Myanmar after Bagan. Most of the tourists visit Bagan and Inle during their visit to Myanmar. Even they didn’t pay enough time to go around in Yangon, they paid their time for Bagan and Inle see. But Inle is not a nearby place of Bagan. Even they are not located in the same division. So you need to plan ahead to travel from Bagan to Inle before you start your visit to Myanmar. It is possible to make a trip from Bagan to Inle without any advance plan, but it will cost you more. Bagan is located in Mandalay Division and Inle is located in Shan State. These two regions adjacent to each other on the map but the actual trip will not be easy enough. You can reach Inle from Yangon quite easily. You can either take a flight or take a night bus. There are many bus companies running between Yangon and Inle see. There is no doubt that travel with buses is cheaper than travel with flights. From Bagan to Inle, you can also either take a bus or flight. There is a daily flight schedule from Bagan to Inle. One thing you need to know is that there is no airport at Inle. You cannot search Inle lake airport as a destination. You have to fly to Heho, nearby township of Nyaung Shwe (Inle Lake is located in Nyaung Shwe Township). 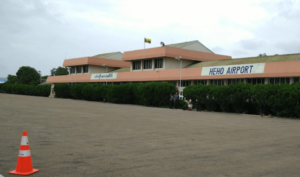 From Heho airport, you need to grab a taxi to get to Nyaung Shwe. Buying flight ticket at Bagan to see Inle Lake will be more difficult than buying at Yangon. You may not get a ticket on the exact date you want as most of the ticket is already purchased for planned visitors. So that if you have a plan to see Inle Lake after Bagan, you should book in advance. But don’t be stressed about it. You can still make ad-hoc plan to go to Inle while you are in Bagan. You can take a bus. It will not be as convenient as taking a flight, but it will save your money and it will save your time waiting to get a flight ticket. There are some bus companies running between Bagan and Inle. The recommended company is JJ Express and they have VIP seated bus for Bagan to Inle trip. It will cost you around 15 USD per ticket. It will depart at 10:00 PM from Bagan and arrive Nyaung Shwe at 6:00 AM next morning. If you are making an online booking at myanmarbusticket.com, you need to choose Nyaung Shwe as a destination. Nyaung Shwe is a beautiful little township where Inle Lake is situated. Nyaung Shwe town is located in the Southern Shan-State near the Inle-Lake which is the most famous lake in Myanmar. 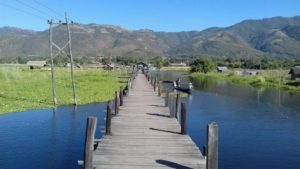 Visitors only recognize this quaint little town when they plan for their trip to Inle Lake. People usually stay in Nyaung Shwe and travel to Inle Lake by motorboat. However, Inle Lake is not the only attraction that you have in Nyaung Shwe. There are many interesting places in Nyaung Shwe where you can visit in a short time under low budget. This little town also offers many different services for visitors including accommodation and food. It has one of the most beautiful sunsets that can melt your heart. Have you ever had a taste of riding a horse on the mountain tracks? It might sound crazy and scary but it is actually quite fun. The fees for horseback riding is very cheap as well. The price range of horseback riding depends on the distance travel and it starts from 8,000 Kyats. The horses are beautiful and sweet, and they provide a trainer to assist you to ride safely. This is a must-do activity during your visit. Shan State has the best coffee in the country. You can taste amazing coffees at the Coffee House of Nyaung Shwe. You can also get fresh fruit juice and nice local wine. The price of the drinks are quite cheap and the shop is quite spacious. This beautiful and attractive coffee shop has a balcony up-stair where you can see the fabulous sunset of Nyaung Shwe. It is located in southern hilly part of Kanni Lake. This is a very famous wine bar where you can taste very delicious local wines. 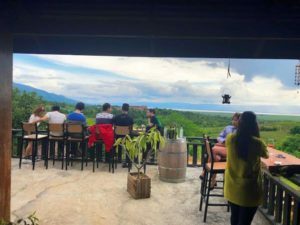 This wine bar is also another best spot to view the sunset, therefore the bar is usually full in the evening. So, it is better to go there early to get a spot. Red-Mountain Winery is a very refreshing bar and beautiful place to watch the sunset while sipping on the delicious wine. Nyaung Shwe Cultural Museum also known as Nyaung Shwe Haw is the old palace of the Sawbwa of Nyang Shwe. 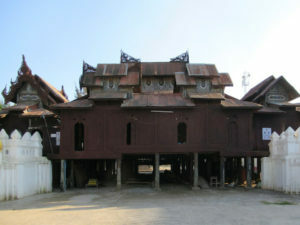 You can explore the history and culture of Shan at his museum. You are not allowed to take a photo inside. The entrance fee is 200 Kyats for locals and 2 USD for foreigners. You can give a tour of the Nyaung Shwe night markets to buy souvenirs and have dinner. The night market is located downtown therefore, it is easy to get access there. Many guesthouses and hotels are also close by, so you can just walk there while feeling the cold fresh breeze. Lal Taw Eain is a beautiful restaurant and you can get a variety of foods there. The design of the restaurant is unique and it is a fantastic spot to take great Instagram photos. All the food and drinks are quite cheap as well. This is one of the best Instagram spots in Nyaung Swe. In the past, it is quite difficult to get there. You can get there only with a boat. But nowadays, you can take a Tuk Tuk from Nyaung Shwe to Mine Thauk Bridge. It will cost around 10,000 MMK. This is for a round trip. You can also take a look and take a photo at nearby tomato fields. Inle tomato is famous in Myanmar. Mot Love Café is a dreamy place and best place for the couples’ romantic date. 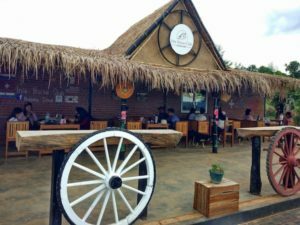 All the profit from this café go to the foundation and all your payments go directly into the donation box. The yogurt of this café is quite good and the price is cheap as well. The cute and romantic café is a nice place for good photos as well. Shwe Yaunghwe Kyaung Monastery is very popular with tourist. Many tourists come here to take photos of the ancient monastery and explore the marvelous architecture. In the yard of this monastery, you will find another small temple located right across from the Shan style golden stupa. You will also find thousands of small Buddha statues. Kyaut Phyu Gyi Buddha Image is located one km south of Nyaung Shwe and near Nanthe Village. When you go to see Inle, you can either stay at Nyaung Shwe or Inle. Let’s me tell you the main difference. It is the price difference. 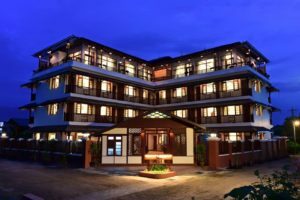 Nyaung Shwe has both budget and luxuries hotels where most of the hotel in Inle Lake are expensive. 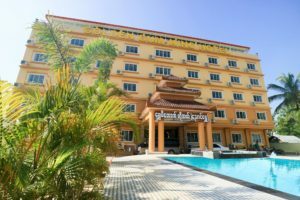 Personally, I prefer to stay at Nyaung Shwe as you can enjoy the nightlife of Nyaung Shwe and also can interact with local people. 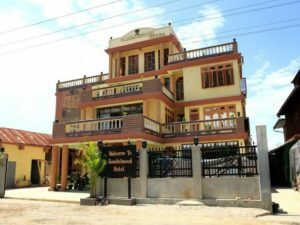 Most of the hotel and guest house in Nyaung Shwe is family own businesses. 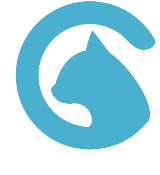 So that they offer a friendly home-like service to the customers. Service may not be as good as other hotels, but I hope you will enjoy friendliness, helpful manner of most Nyaung Shwe hotels. Song of Travel hostel has won the Best Hostel in Myanmar prize by Hostel World. It is also a top-ten listed hostel in the world and it only cost 10 USD per night. This hostel got many positive feedbacks from local and foreign visitors. The hostel rent a bicycle and it is free for the guests. The service is awesome and breakfast is included. They sometimes treat snacks in the afternoon. There are plenty of cheap hotels in Nyaung Shwe but not many of them have a good location. This hotel has a great location because it is close to all the attractions and many restaurants are in walking distance. The price range differs according to the travel season but it is a relatively cheap hotel. This hotel is spacious, well decorated and also has a small garden. It is located within 10 minutes walking distance from the jetty. Its breakfast offers a large variety of menu from local vegetable farms. It is located near to the Nyaung Shwe Market and within 2 minutes walking distance from the jetty. So at night, you can enjoy walking and have dinner at local restaurants. Address: No 88, Phaung Daw Pyan Street, Win Ward, Nyaung Shwe. This hotel has both budget room and a regular room. Regular room price starts at 45,000 MMK per night for two persons. But you can ask for a budget room there. Tuk-Tuk is the best transportation for two people but it is best to rent a taxi for the groups. But the town is quite tiny, so many visitors prefer to use bicycles to travel around. Most of the hostel rent the bicycle for free to the guest who is staying at their place. I hope that above information will be useful enough to make a trip from Bagan to Inle. I will keep update on this post.